In 1878, 19-year-old Esther Cox of Amherst became the unfortunate focus of otherwordly attention in a series of poltergeist hauntings. In the presence of witnesses, items in her home such as dishes, utensils and even furniture would move around, as if by some invisible force. There were unexplained noises and rapping sounds. But it would get worse. Perhaps the most chilling of all was the writing that appeared on the bedroom wall of her Princess Street home: “Esther Cox, you are mine to kill.” Though the ghost whom Esther called “Bob” didn’t follow through with his threat, she was never able to completely shake her experience. 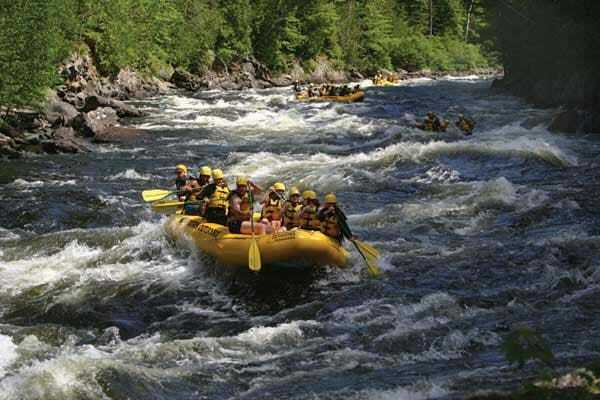 I first told this tale at a Boy Scout camp in 1965, when Scoutmaster Doug Carter and I took a bunch of lads to Eichorn’s farm on the banks of the Nerepis at Welsford, NB. At the time, I had no idea this would set me off on a lifetime pursuit of such tales, and that I would be sharing them for years to follow. Fellow ghost story collector from Nova Scotia, Vernon Oickle, says I couldn’t have made a better start. “It’s a classic ghost tale and it’s been written about again and again, so that’s likely why you discovered it so easily,” he says. Indeed, Vernon himself retells “The Great Amherst Mystery” in volume II of his Ghost Stories of the Maritimes, borrowing the story’s title from a book by Walter Hubbell, a travelling thespian who thoroughly investigated the story in 1878. He became the first of many authors and playwrights to document Esther’s sorry tale. Vernon recounts many other mysteries in his book, from astounding and mystifying to the enlightening and frightening. Some of the stories have occurred in public places that can be visited to this day. Ghost walks/tours have become quite popular in Atlantic Canada. 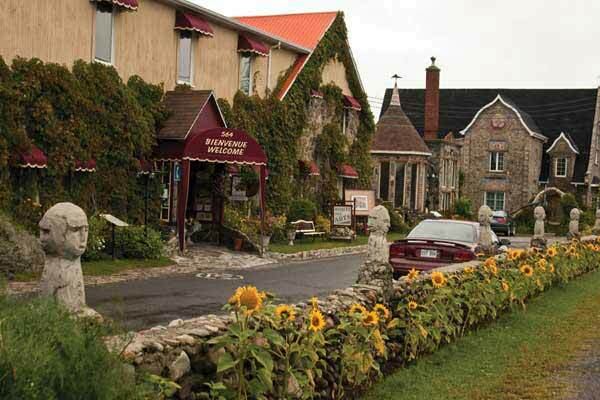 For example, Heritage Discovery Tours in St. Andrews, NB, offers nightly summer walks, beginning at the Fairmont Algonquin hotel. For example, visitors wandering about Port Royal may hear a pronounced tap-tap-tapping coming from the forested area of Delaps Bluff. There’s a belief, if you hear it, that a death will follow. Stories of something strange in the basement of the caretaker’s residence have caused many a tenant to break out in goosebumps. There has also been an unearthly wailing heard in times past, and a ghostly image of a soldier holding his severed hand near the site of the Royal Bank. Vernon also cites the story of the ghost of a drowned girl at Dalhousie University. She is said to haunt the famous clock overlooking the harbour. Then there’s the tale of a drunken soldier at the Citadel, who shows up near Casemate18 some foggy nights. Though Nova Scotia has a vast number of spooky tales to share, it isn’t the only Atlantic Province to have them. In Newfoundland, for example, Dale Jarvis of St. John’s operates ghost walks known as the St. John’s Haunted Hike. Posing as the Reverend Thomas Wyckham Jarvis, Esquire, Dale calls the tours an “Ambulatory Theatrical Experience.” As the good Reverend Jarvis, he likes to boast that he knows the best kept secrets of the winding alleys of historic downtown St. John’s [Information: (709) 685-3444]. He proves it nightly in the summer months by taking visitors to the city’s darkest corners, sharing stories of vengeful lovers, murdered soldiers, horrific hangings, and dangerous duels. He also points out buildings known to be haunted by those who have passed to the other side. Since beginning the walks in 1997, he has developed a website where Newfoundlanders, or those visiting the province, can submit their stories of the paranormal. These can be found at www.hauntedhike.com. Stories he has collected are also featured in his 2004 book, Haunted Shores: True Ghost stories of Newfoundland and Labrador. “The good thing about all this is that visitors can read up on the whereabouts of happenings and visit the sites and see for themselves what it is all about,” says Dale. In St. John’s itself, they might want to check out the Shadow Woman at 100 Patrick Street. This woman was brutally murdered, but isn’t gone—her spirit can even be spotted from time to time. Dropping over to Duckworth Street, a man is said to have hung himself from the third floor banister of the old Evening Telegram building, where once in awhile, visitors claim to hear a persistent knocking, as if the poor fellow’s feet were swaying against the walls. Outside St. John’s, Dale has heard reports that at the Bradley House in the Mockbeggar Provincial Historic Site at Bonavista, a mysterious set of eyes peer at visitors from the top floor windows. The house was first built in the 1870s and restored around 1940. At Goulds, he’s been told the ghost of Father Slatery shows up in the library named after him in St. Kevin’s elementary school. And this is just a sampling of stories. 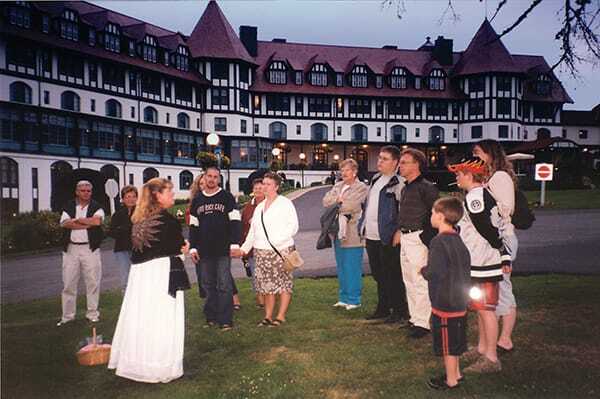 Back to the mainland, in the resort town of St. Andrews, NB, Elaine Bruff operates Heritage Discovery Tours [Information: (506) 529-4011] and offers ghost walks nightly at dusk from the steps of the palatial Fairmont Algonquin hotel in the resort town. She is only the latest of a long list of New Brunswickers who have shown an inordinate interest in the province’s ghosts. She began collecting tales from those she knew and met in the tiny town of about 1,500 souls, and soon had enough stories to publish a book titled, Mysteries of the Night: Tales and Ghosts of St. Andrews. And while the book will acquaint the reader with sundry shore and village ghosts, it is when Elaine guides them through the streets of her hometown that the stories really come to life. Stories that involve mysterious lights in an uninhabited portion of the Algonquin’s Tower, or of a ghost that likes to bowl in the bowels of the old hotel, or another that playfully rearranges place settings the staff have carefully laid out. Those travelling through the province will find other ghosts walks to enjoy. 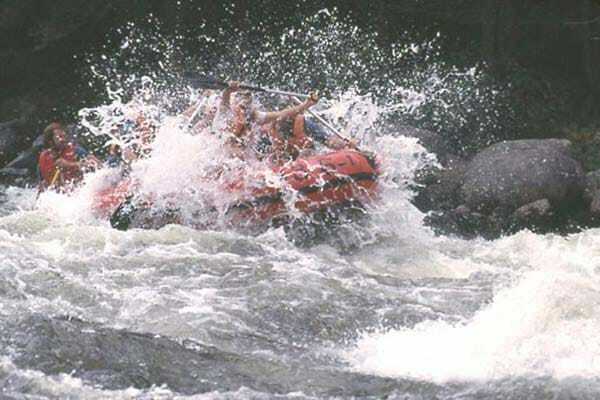 One of the longest running is offered by the Calithumpians, established in 1979 [Information: (506) 457-1975]. They’ve presented animated theatrical ghost walks nightly in Fredericton for several years. On the Miramichi, a group of students have been responsible for regular appearances of the Headless Nun at French Fort Cove for a several summers now [Information: (506) 624-9121]. Those striking out on their own will have no problem finding spots where eerie things have happened. Some might be brave enough to sleep in the Lupine Lodge on Campobello Island, or the Mahogany Manor in Saint John, whose operators admit to having had haunting experiences. Others have had them, too, but aren’t as open about it, for the province is well stocked with ghosts. There are several on Grand Manan, including a pirate ghost at the popular Anchorage Campsite. Along the coast, there’s a haunted light at Green’s Point, and at New River, a ghostly seafarer lost in the violent Saxby Gale still shows up from time to time. Those walking Saint John’s Harbour passage might be on the lookout for the ghostly countenance of Lady LaTour, who died there of a broken heart in 1645. In Fredericton, the City Hall is said to be visited by ghosts of prisoners once housed in the gaol in the ornate structure’s basement. On the northern shores of the province, folks regularly wonder over the sighting of the fire ship spectre of Bay of Chaleur. On the Miramichi, the story of the piercing hoops of the Dungarvon Hooper, said to be the cries of a lumberman murdered for the contents of his money belt, is still told as if it happened yesterday. Just because Prince Edward Island is the smallest and least populated of the Atlantic Provinces doesn’t mean it’s not the home of some great ghost stories. There are tales of visits from the devil, mills being run by ghosts, warning voices being heard from the other side, farm and city houses reputed to be haunted in various locations, and a phantom train that whistles in the night, to mention a few. In short, the tale is of a melancholy day—October 7, 1853—when the Fairy Queen was scheduled to sail to Pictou, NS. In Charlottetown, a man named Captain Cross heard bells tolling. He was confounded, as the sound did not appear to come from the sea, but from the heart of town. He soon discerned that the sound came from the belfry of the Kirk of St. James. As it was unusual for the bell to ring at that early hour, he decided to investigate. Coming to the church he lowered his eyes from the belfry to the entrance door and beheld on its threshold three women dressed in white with uncovered heads and feet. As he approached, the bells continued. The women, now joined by another, disappeared through the door. When he reached the door, he was joined by the Kirk sexton, but they found the doors securely fastened. Peeking through a small window they saw the retreating form of a woman ascending the steps to the belfry. The sexton made off to the manse for the key, leaving the Captain on guard. Even above the roar and whistle of the wind, which was now blowing a gale, he could hear the sound of footfalls and voices in the tower above. The sexton and minister arrived, unlocked the door, and the trio made their way up to the belfry. Throwing up the trap door into the belfry, they were stunned to see no one there, although the bell was still vibrating. There was no sign of the women, but the Captain stoutly maintained that he had seen them. It came to light that several others had heard the bells, but the mystery was not solved until the afternoon of the same day. The sad intelligence came that the mail steamer Fairy Queen had been lost in the strait between Pictou Island and Caribou, and seven lives were lost, including four ladies, three of whom were members of the St. James Church congregation. Many believed that the appearance of the four women, and the sounding of what the Captain thought to be a ship’s bell, were forerunners to the tragedy that occurred with the loss of the Fairy Queen. This is still the prevailing thought. In Charlottetown, Ghostly Realm Tours are led by actors representing the Fathers of Confederation. These take place from Tuesday through Saturday in July and August, and feature stories of phantom ships, haunted mansions, apparitions of the long gone, and of forerunning, like that at the Kirk [Information: 1-800-955-1864]. Whether you’re a believer or not, ghosts are an essential part of our Atlantic Canadian folklore. For some, it’s a reality worth exploring. For others, it’s simply good fun and storytelling, provoking goosebumps and raising those little hairs on the back of your neck. 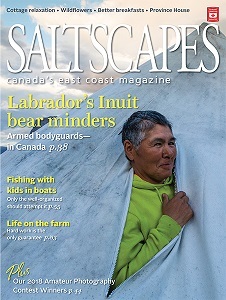 Discover your most translucent Atlantic Canadian neighbours on your next holiday… if you dare.